Cook bacon, onion, carrot, mushrooms, asparagus, basil, salt, and pepper on medium until onions are translucent and veggies are tender, approximately 5 minutes. Remove from heat. Whisk eggs and pour over skillet mixture. 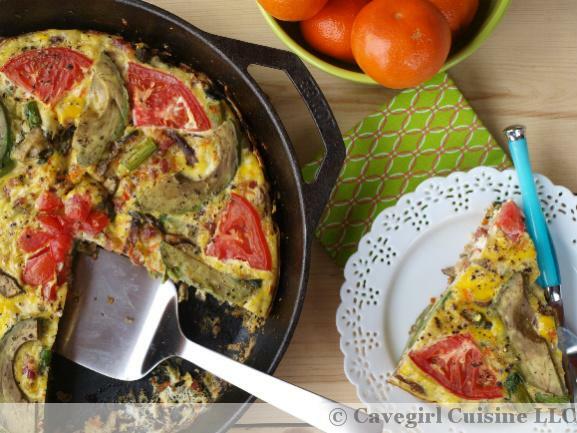 Add tomato and avocado slices to the top of the skillet. Cook for approximately 30 minutes until the eggs are set. Let cool for approximately 10 minutes. Cut into pie pieces and serve.